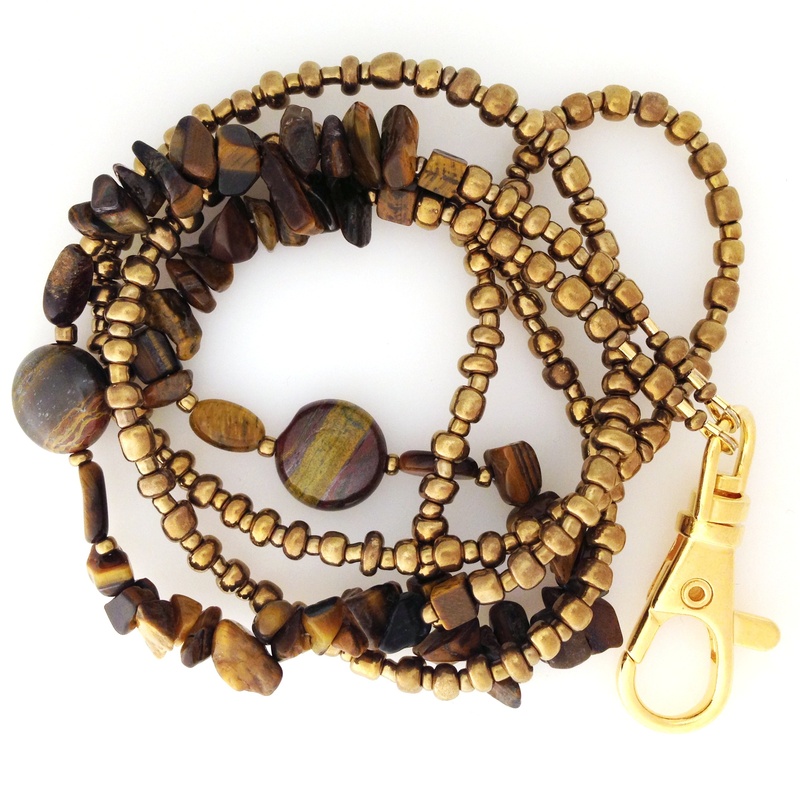 Tiger Eye represents common-sense decision making and creative stimulation. 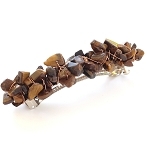 Tiger Iron represents balance, pragmatism, and reliability. 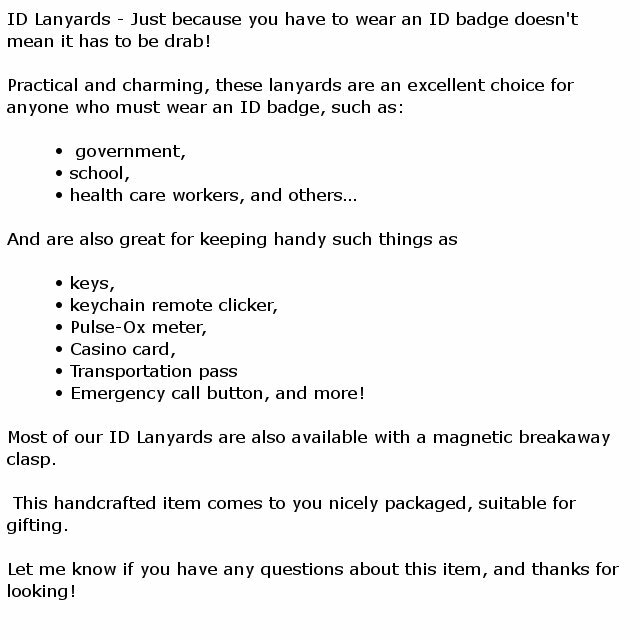 This is a 32 inch ID lanyard that slips right over your head. 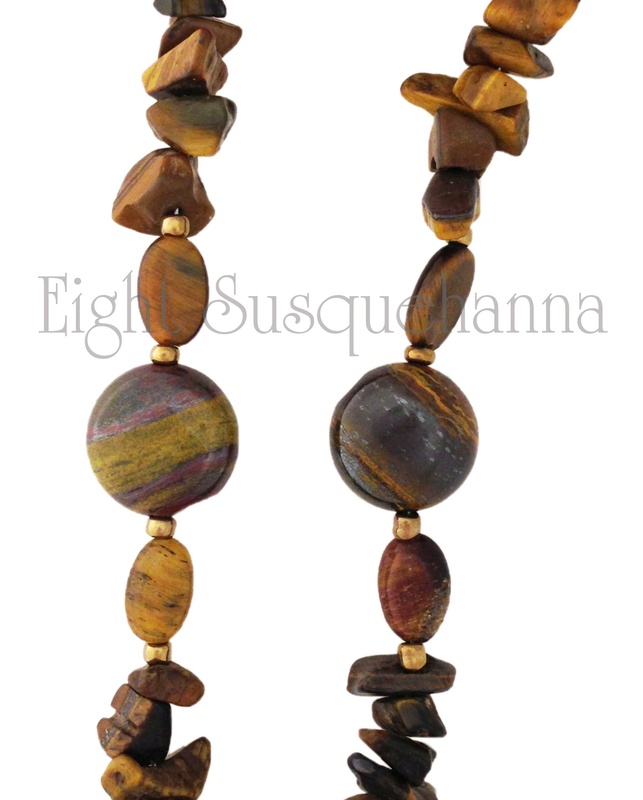 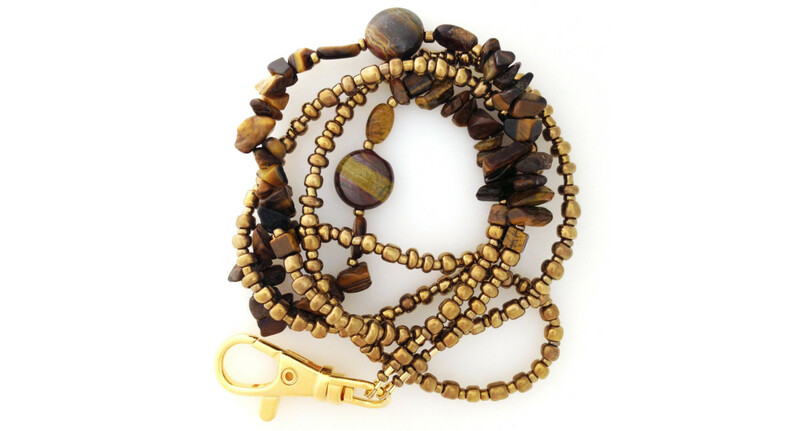 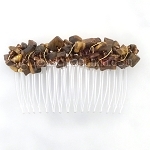 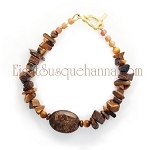 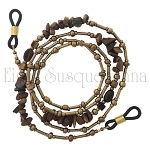 It is beaded with bronze metallic glass beads in alternating sizes with accent sections of Tiger Eye nuggets and beads, and two Tiger Iron beads, and has a sturdy gold plated giant swivel clasp.